Enhancing evangelism, discipleship, and fellowship using the outdoors as a platform. The vision of Christian Outdoor Fellowship is to enhance evangelism, discipleship, and fellowship using the outdoors as a platform. Christian Sportsmen accept the obligation to preserve our natural resources, to protect and perpetuate every living species so future generations may enjoy the hunting and fishing privileges that we possess today. 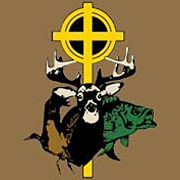 Reach outdoor sportsmen with the life changing message of the gospel of Jesus Christ. Provide a format for Christian Sportsmen to share their personal testimonies in a variety of outdoor settings. Establish a wholesome setting for men, women and children to enjoy fellowship in the great outdoors. We prohibit the use of alcohol and profanity at events and discourage the use of tobacco products. We strongly emphasize the role of each man as the spiritual leader of his household and make every effort to encourage participation in the local church. Assist the local church in reaching outdoor sportsmen with a non-traditional outreach program to their community. Encourage greater unity among believers across social, economic, and denominational backgrounds. Assist local benevolence ministries with outreach support and financial assistance. The Christian Outdoor Fellowship code of conduct reflects our organization’s goals for discipleship. In addition to evangelism, we encourage COF members to live according to the principles found in God’s Word. Specifically, we encourage men, as the spiritual head of the home, to maintain the basic priorities listed below. Vocation (If anyone does not provide for his relatives, and especially for his immediate family, he has denied the faith and is worse than an unbeliever. and other events in God’s great outdoors. Having a passion for Ministry involvement after tenures with doing Bus Ministry for 10 years, teaching Sunday School for 10 years and involved with Urban Inner City Camps for 16 years, FCA and various other ministries, God called me to start Greater Houston Christian Outdoor Fellowship in April 1997. Appointed as Executive Director and co-founder of GHCOF, my passion and vision is to reach men, women and children with the message of Jesus Christ by using outdoor hunting and fishing events as a platform. I was born in Dallas, Texas in 1951 and moved to Houston in 1956. I fell in love with the outdoors when my Grandfather who was a Baptist Preacher in Dallas took me fishing at Rollover Pass in Galveston, Texas and my Father took me on my first Deer Hunt in 1963 in Normangee, Texas. As a child I spent many times fishing with my Dad at the Texas City Dike. I couldn’t wait until the next time. My two favorite outdoor activities are Bow Hunting and Surf Fishing. Attended Milby High School and went to Wharton Jr. College and Lamar University and University of Houston. At Milby High School was appointed President of the Rodeo Club and Sentinel of FFA. Organized the first Rodeo Club Fund Raiser at Milby High School, raised two Grand Champion Bulls and Grand Champion of Show and was Honorable Mention 4-A All-District Lineman in Houston I.S.D. After a short College Football Career ended by injury I started a search for significance. Accepted Jesus Christ as my personal Savior September 6, 1978 at age 26 while coaching at a Christian School, Braeburn Baptist Academy in Houston. Was appointed President of The Houston Christian School Athletic Association in 1979 and organized a Christian School Sports League for several Christian Schools throughout Houston. While coaching the Football Team won Conference in 1979 and 1980 and the Basketball Teams participated in the National Christian School Basketball Finals in Springfield, Missouri. I married Gospel Singer, Judy Payne of the Singing Payne Family May 7, 1983. We have two Adult Children, Jameson and Jana who both love sports and the outdoors. Jameson attended Texas Tech University and has a degree in Financial Analysis with Deans List Honors and Jana attended Liberty University majoring in Deaf Education and Judy with a Master’s Degree in Education from Hardin Simmons University is the Middle School Counselor for Fort Bend Christian Academy. Started a Family Gospel Singing Ministry, “Delight Ministries” in 1990 singing Southern Gospel Music and traveled the USA and Canada until 2002. Currently works as a Sales Engineer for West Penetone Corporation calling on the Pipeline and Refinery Industries in Texas, Louisiana, Oklahoma and Arkansas. Attends Sugar Creek Baptist in Sugar Land, Texas since October 9, 1988 and serves as a Deacon and Parking Host Ministry Coordinator. My favorite thing to do is organize the big event.